The Xerox WorkCentre 5900i series smart multifunction printer is designed to exceed your expectations for what a black-and-white printer can do. Capable of delivering consistent, crystal clear prints up to 1200 x 1200 dpi, you’ll get the quality prints you demand with the Xerox WorkCentre 5900i. 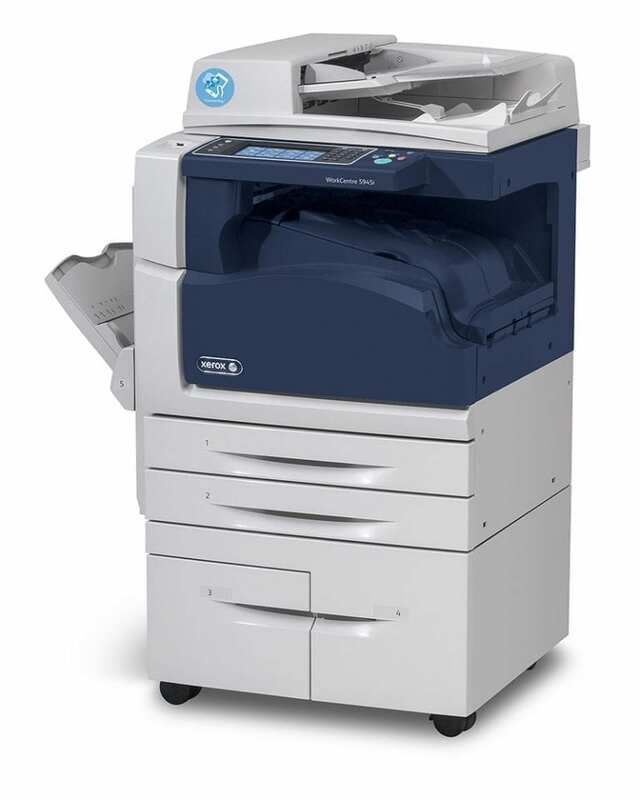 The WorkCentre 5900i is a multifunction printing solution that scales with your business needs. With a choice between 44 PPM (5945i) and 55 PPM (5955i), the Xerox WorkCentre 5900i series allows you to choose the best fit for you. Both models come with industry recognized security features, including McAfee Embedded security and encrypted print, fax, copy, and email functionality. Powered by Xerox ConnectKey Technology, the Xerox WorkCentre 5900i has the productivity applications you need to maximize efficiency and streamline your workflow no matter the industry you are in. With applications for the office, healthcare, and education environments, with the Xerox WorkCentre 5900i you’ll spend less time printing and more time doing. Print resolution up to 1200 x 1200 dpi. Copy resolution up to 600 x 600 dpi. Duty cycle up to 200,000 images per month. Print speeds from 44 PPM (5945i) up to 55 PPM (5955i). 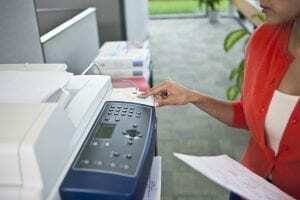 Enhanced control through Xerox ConnectKey Technology. Print from USB / Save to USB. Walk-up fax capability optional. McAfee Embedded Security, HDD encryption, image overwrite, Encrypted Secure Print / Fax / Email / Scan. Maximum paper size of 11 x 17 in. Integrated Xerox Accounting with network accounting enablement. 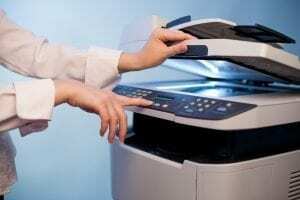 Xerox Emulsion Aggregregation (EA) Toner for sharp, clear images. Finishing options include: booklet maker, office finisher, center offsetting tray, hole punch for office finisher, and convenience stapler.